From Friday July 3rd through Monday July 6th, Colorado law enforcement agencies turned up the heat on impaired drivers, making 219 DUI arrests this past weekend. These arrests, which were a part of 2015 “The Heat Is On” enforcement campaign, are likely a bit below the actual number of total drunk driving arrests made in the state over the holiday weekend, as these numbers only reflect data from 77 law enforcement agencies in the state. Law enforcement officials in Colorado made 219 DUI arrests over the July 4th weekend, a Denver & Boulder DUI lawyer explains. Contact us for the best DUI defense. While the July 4th DUI enforcement period has come to an end, state authorities are still conducting Checkpoint Colorado 2015, a similar DUI enforcement campaign that will continue until September 14th. This effort, which focuses on trying to nab impaired drivers at sobriety checkpoints set up throughout the state, has reportedly led to 26 DUI arrests since it got underway this past May. 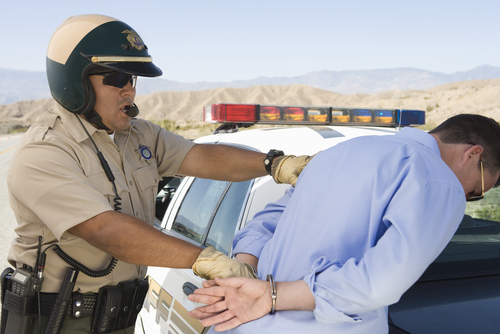 Given that Colorado law enforcement officials will continue to concentrate on making DUI arrests through the summer, it’s important that you, as a motorist, understand your rights and what to do during a DUI stop. Politely comply with requests to see your driver’s license, registration and proof of insurance. Never admit to having consumed alcohol or drugs (or to being drunk or under the influence of drugs). Do not allow police to search your vehicle. Do not submit to field sobriety testing if you think you will fail it, as you have the right to refuse this testing, and your refusal will not result in any automatic penalties. Do not resist an arrest if police decide to proceed with this action. Should you be arrested for an alleged DUI, the most important thing to do is to contact our experienced Denver & Boulder DUI lawyer. He can immediately start defending your rights and protecting your interests. When facing DUI charges, you can turn to the Denver & Boulder DUI lawyer at Griffin Law Firm for experienced help and the best possible defense. With more than 18 years’ experience in the criminal justice system, our attorney understands the complexities of the system, the challenges different defendants can face and the best ways of overcoming these challenges to bring criminal cases to successful resolutions.